Located in Westfield, Massachusetts, Savage Arms is a famous company in the firearms industry with a wide range of quality guns. Ranging from shotgun to rifle, the brand products are able to take a fair share of the market next to names like Remington Arms and Sturm Ruger. 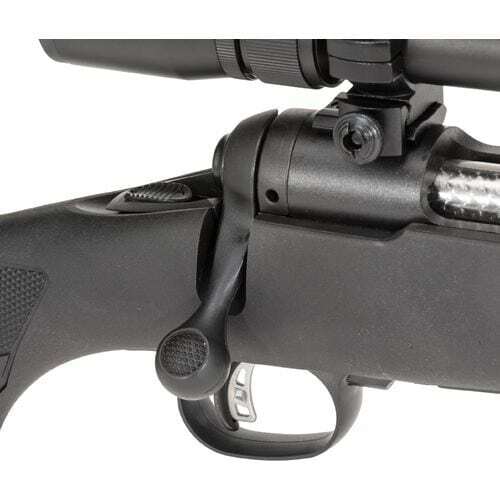 In the bolt-action centerfire rifle category, the Savage M11/111 Trophy Hunter XP is well received by many customers. 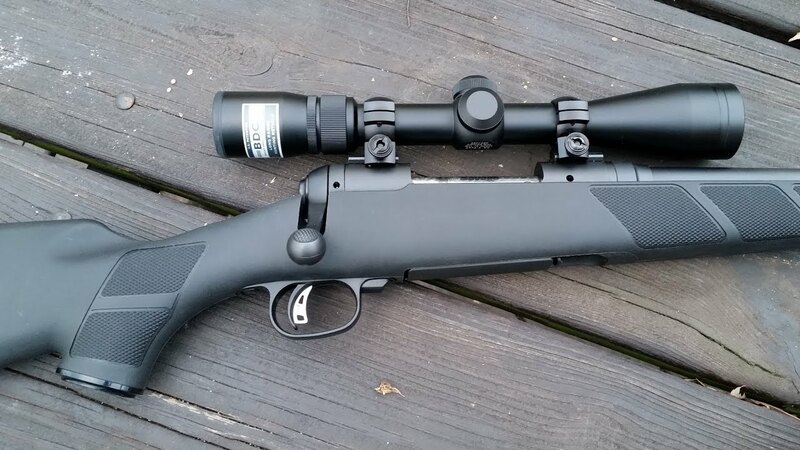 Come at an affordable price, this rifle is one of the best choices available for games hunting. In the case that you want to consider it for the next hunting trip, here is a detailed Savage M11/111 Trophy Hunter XP review. Shooting style and taste vary a lot from one person to the other, therefore, there are often contradicting opinions about one particular product. Many could say the gun features are excellent while the rest may feel they are acceptable at best. So it’s advised not to jump to the conclusion until you have a clear understanding of the rifle. Making a purchase on a whim might cost you plenty of money for negligible gains so be careful. Use the information below as references but remember to incorporate your personal preferences and demand as well. As you can tell based on the specifications, the Savage M11/111 Trophy Hunter XP is capable of meeting individual needs and requirements rather easy. No matter what the intended game is, there is always a Trophy Hunter XP model for it. 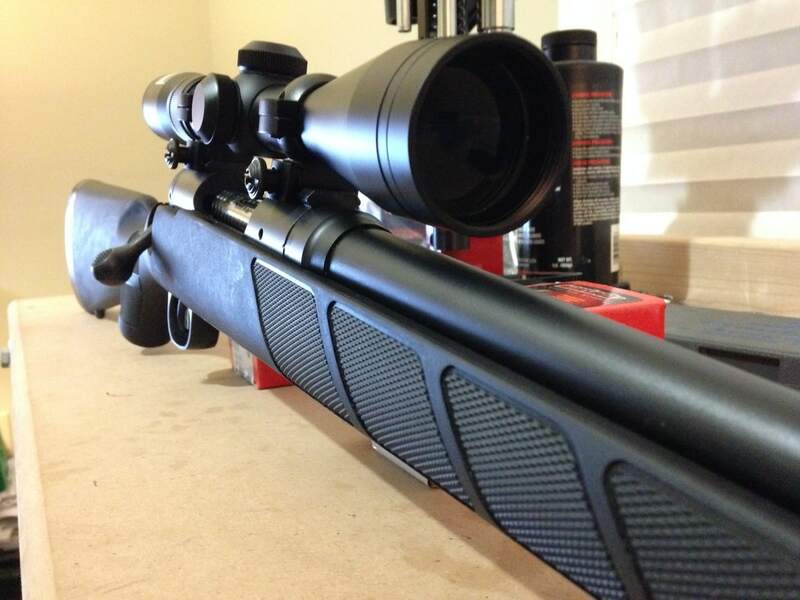 The rifle is delivered to you in a ready to go configuration with the bore-sighted Nikon scope already on. While the bolt is shipped in a separate containment, you should be able to get it in fairly simple. Because of that, the Savage M11/111 is ready to be used moment after you take it out of the box. Besides the gun and its components, you shall be provided with earplugs, owner manual, folded target and NSSF safety pamphlet. There are also an Allen wrench tool and an AccuTrigger tool to adjust the scope ring along with the trigger pull. Before you attempt to put some rounds through the barrel, it’s recommended to zero the scope first. It’s a truth that the Nikon optic is pre-sighted but the rifle precision also depends on the ammo type as well. In order to achieve pinpoint accuracy, you have to invest some time and effort to zero the Nikon scope properly. For most of the time, the Savage M11/111 Trophy Hunter XP is really accurate at 100 yards. In a no wind setting, the average shooter can obtain 1.5 – 2.5-inch groupings at that distance. The Trophy Hunter XP employs a simple yet effective box magazine with a variable capacity from 2 to 4 rounds depends on the model caliber. It locked itself into place and reliably feed round after round to the chamber of the rifle. 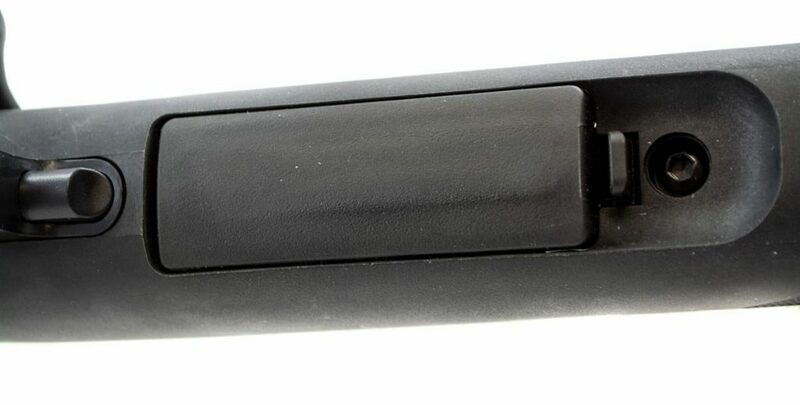 To unload the carriages, you only have to manipulate the release lever on the front side of the magazine. Hence, you don’t need to cycle the bolt in quick succession to unload the gun. The magazine operation is quite easy to handle, there won’t be anything come flying out of the magazine when you hit the release lever. The idea behind the AccuTrigger system is to produce a custom fit trigger pull without creep or over travel. In the default setting, the trigger pull of the Savage M11/111 is exactly 3 pounds with no detectable issues. Using the included tool, you can conveniently set the trigger pull anywhere between 2 and 6 pounds. Step by step instructions and photos for references are included in the owner manual. Read through everything before you proceed with the trigger pull adjustment. Do remember that it’s a delicate process, in the case that you are not very confident in your skill and attention, have a gunsmith perform the adjustment for you. In term of safety, the Trophy Hunter XP uses a 3 position design: bolt and trigger lock, trigger lock and fire. At the rearward position, you can neither move the trigger nor operate the bolt. Move the safety slide to middle position and the bolt shall be operable but the trigger remains locked. Push the safety slide all the way to the forward position to make the rifle completely functional. For hunting purpose, the high quality 3-9x40mm Nikon variable optic is more than enough to get the job done. It got a 40mm lens on a one-inch tube plus a 3 ½ inches eye relief, sufficient to shoot formidable calibers without leaving a mark on your eye brown. 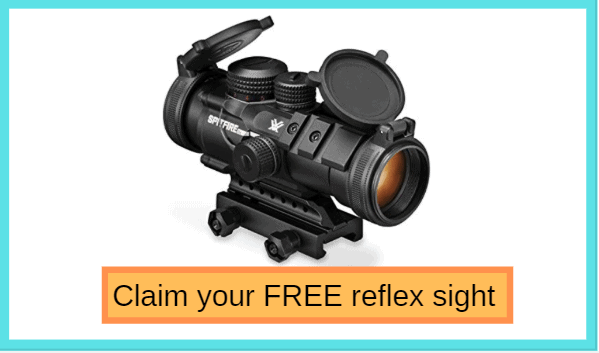 At 100 yards and 3x magnification, the field of vision is around 35 feet which means you can shoot with both eyes open. The ballistic drop reticle covers windage and elevation, it’s really simple to use. For standard-velocity ammunition, the center crosshair is the point of impact at 100 yards and the 4 circles below correspond to a distance of 200, 300, 400, and 500 yards accordingly. 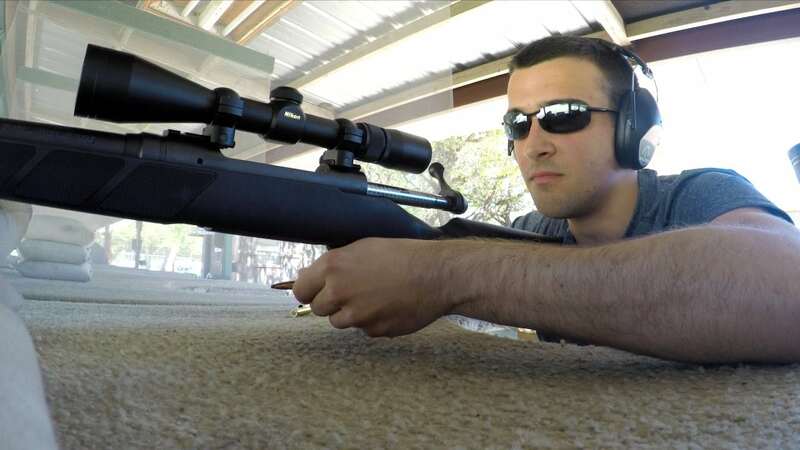 Should you wish to use high-velocity cartridges, zero the scope so the center crosshair is at 200 yards and the circles below should extend out to 600 yards. You can further adjust windage and elevation with ¼-inch movement per click at 100 yards once the caps are removed. The Nikon website offers a Spot On Ballistic Match tool to assist you with the process. And that is most of what you should know about this rifle, pretty simple to understand, right? In order to have a satisfied hunting trip, your choice of weapon is exceptionally important. With the help of the Savage M11/111 Trophy Hunter XP review above, now you could decide whether the gun is suitable for you or not.